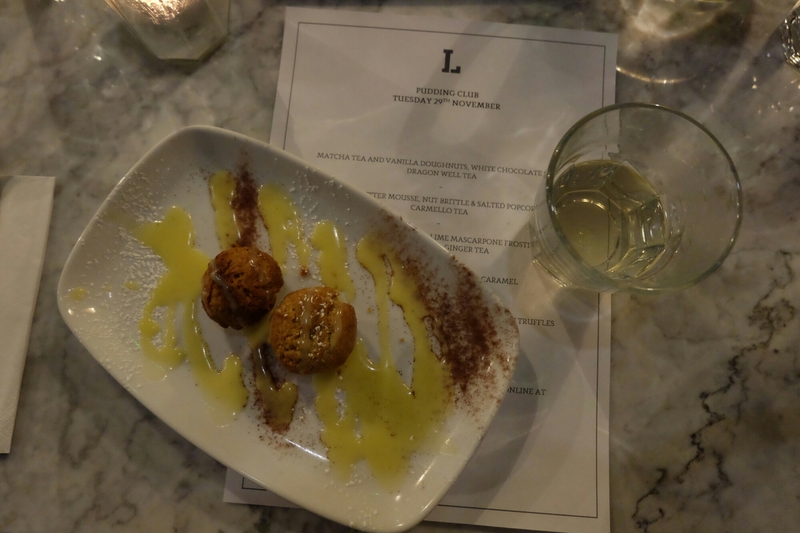 Last weekend I was invited to attend a blogger event at the newly launched Manchester branch of Bakchich, whose flagship restaurant can be found on the coolest street in Liverpool, Bold Street. 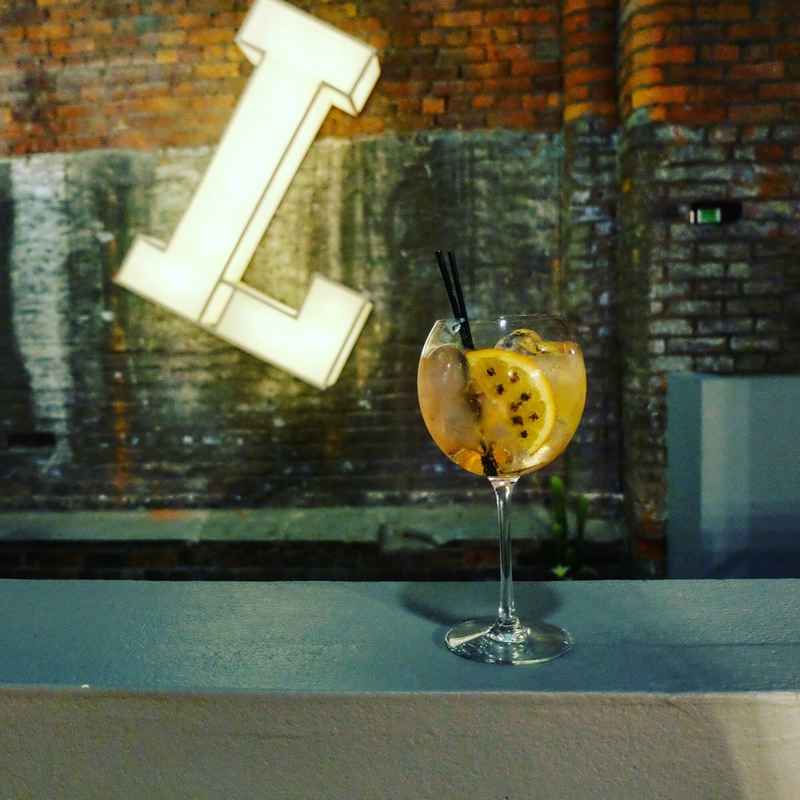 You’ll find it tucked down Chester Street, off Oxford Road, nestled in the heart of a buzzing student area. Keep your peepers peeled for this sign. The event was themed around Arabic afternoon tea, which was a very intriguing concept to me. 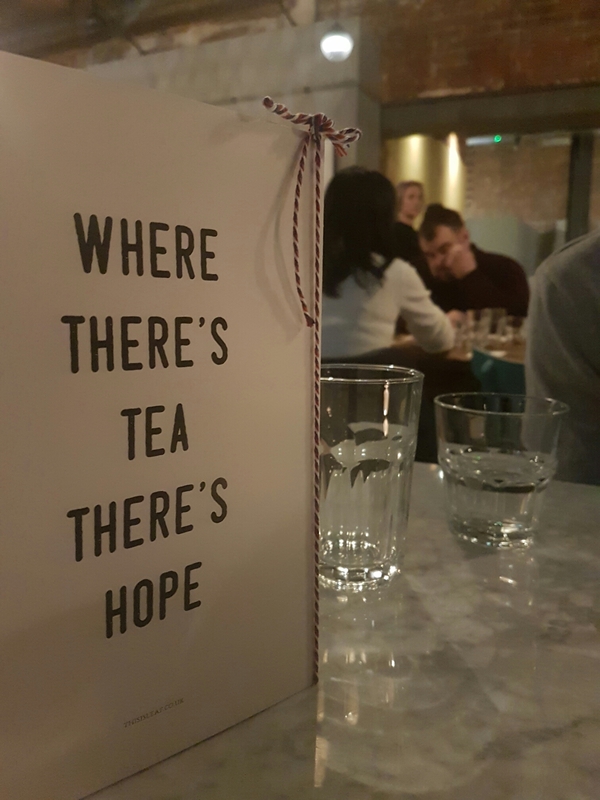 I’m not overly enamored by British Afternoon tea. I prefer Cheese scones to fruit, and I’d take pie over cake if given the choice (I know I’m totally Northern, and proud). We were greeted warmly by Gary, the General Manager, possibly (and I mean this in a highly complimentary way) the most Manc person I’ve met in a long while. Floral shirt button up the top, and rocking a haircut the Gallagher brothers would approve of (approval being some form of curt nod, following by an utterance of “Kid”). After being seated and plied with Morroccan Tea (mint, green tea and a generous injection of brown sugar make up this delicious traditional brew, poured from a great height to generate bubbles), I took I few moments to appraise the interior. 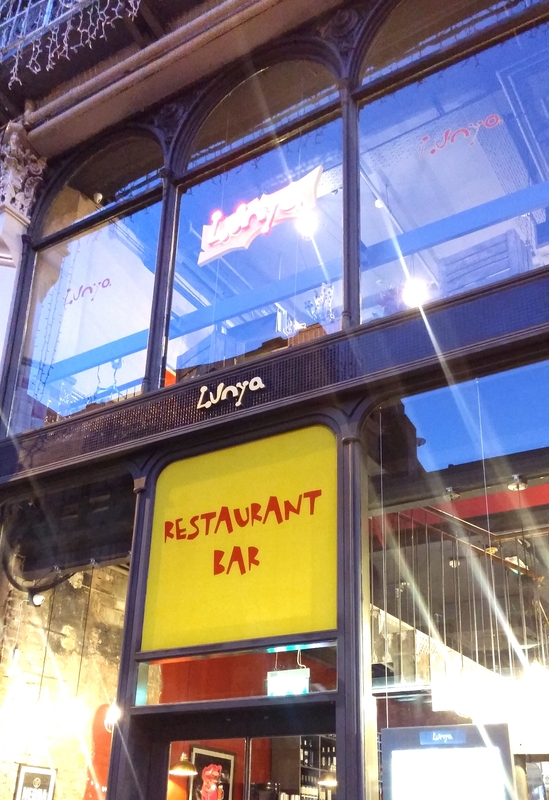 You’ll find the staple beauty that are Morroccan tiles and prints, splashed across walls, floors and the menus in various guises and palettes; interspersed with burnished copper, filament bulbs and an urban vibe in the wall art and the tables and chairs. What followed was a flurry of dishes being circulated between myself and my Husband and the other couple who had attended – well known and well loved Arabic, Moroccan and Lebanese favourites in miniature form – Shawarma, falafel, Lebanese Sausage, Halloumi, Manakeesh… As well as many other things I can’t recall the names of. You can browse the full menu here. 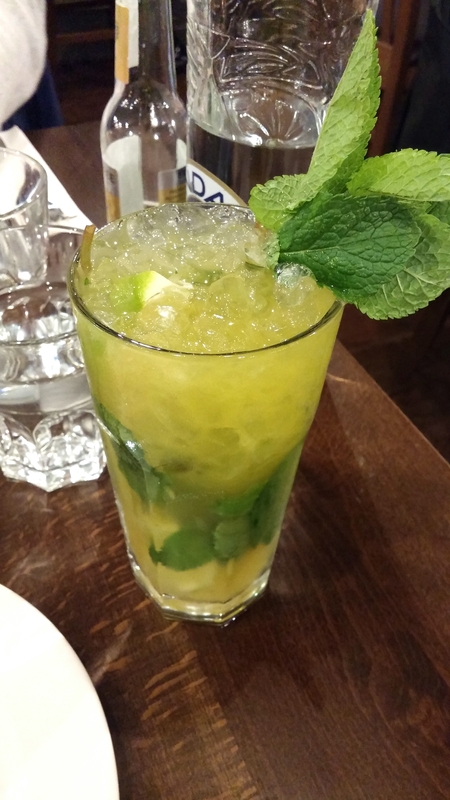 One of the main highlights for me was actually the variety of soft drinks that were served – 3 different types of handmade Lemonades, blended with mint and limes, Rose, or pomegranate and orange blossom. 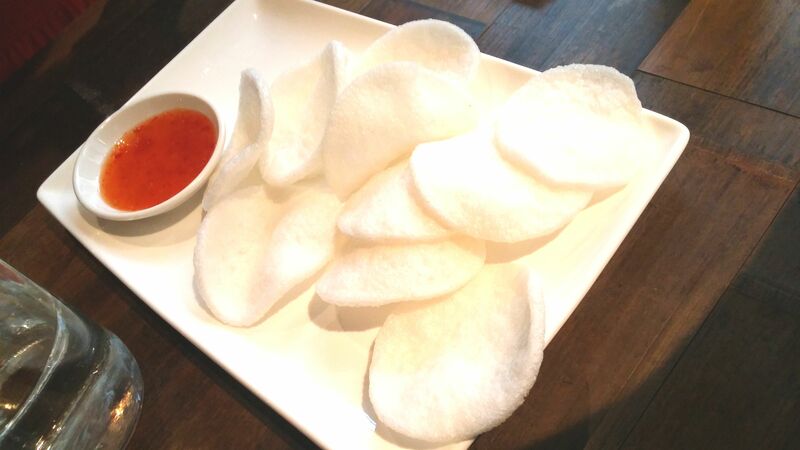 They were all absolutely delicious, so fragrant and refreshing. None of the photos I took were very flattering but you will have to take my word for it that they looks beautiful, too. The main delight of the event for me was meeting Amine (Pronounced Eh-min I believe, and apologies to him if I’ve spelled it wrong!). Founder of the restaurant, he served us many of the dishes and explained to us what they were, if they were vegetarian and what they were made of. He came to sit with is while we were enjoying our pastries and Arabic Coffee and we chatted happily to him about his passion for serving fresh handmade food. Amine was delightful, sharing our enthusiasm for Liverpool, where my husband and I used to live, and also sharing our joy that so many Indie restaurants are finding a home in Manchester. His main vision, he said, was to make sure his food was tasty enough and also very importantly, affordable enough to have families dine with him as often as they chose. 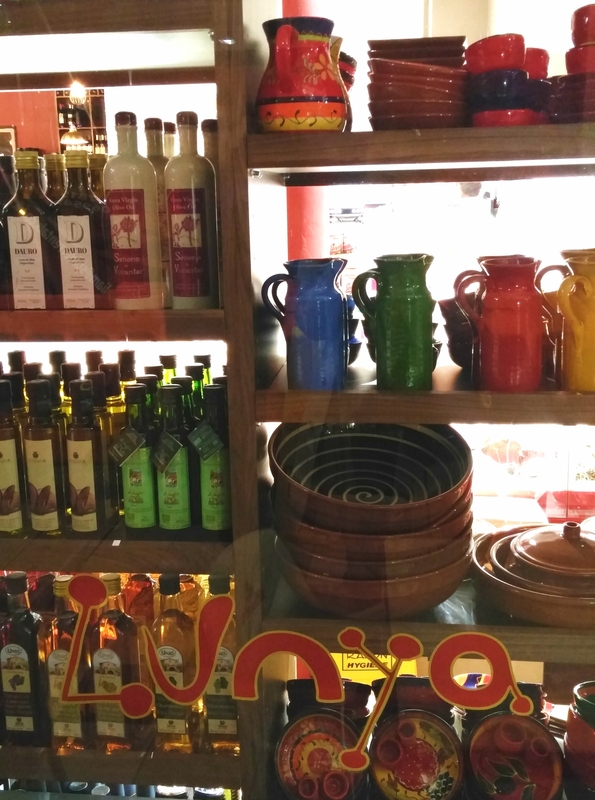 His menu is very reasonably priced; his food, right down to even the dips was clearly hand made with love and care, and his staff were friendly and welcoming. Thank you to Amine for hosting us, we had a wonderful time – my husband was the happiest I have seen him in a while when that dish of pastries was placed before him! You can be sure we will come back, and I will tell everyone I know that Bakchich is delicious, and affordable. Xmas Gifts for a Sweet Tooth! 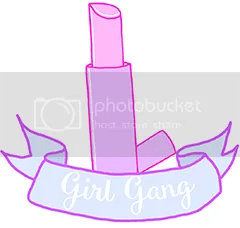 This post falls into so many categories for me, I’m so excited about it! 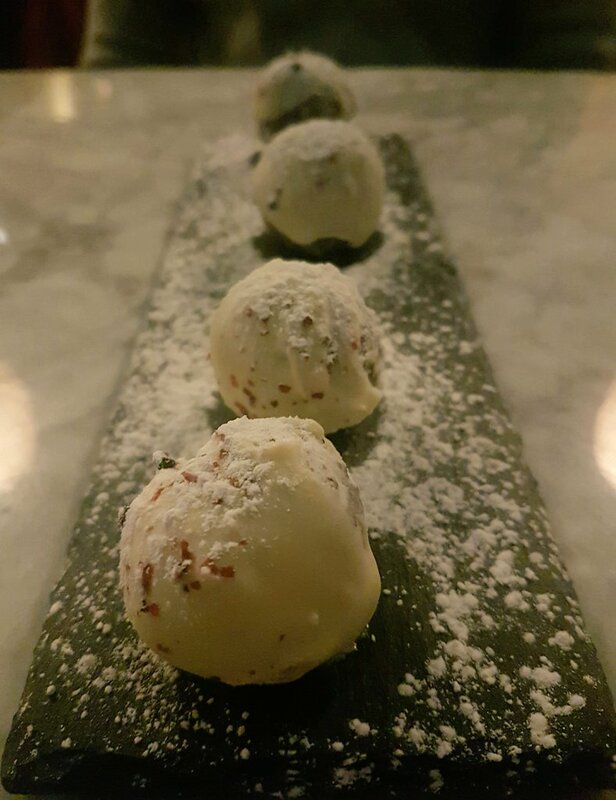 Firstly, SWEETS! Secondly, Small & Local & Handmade Business! tick, tick tick! But seriously, this post contains two beautiful candy-related items from two different sellers which would make great Christmas gifts for a loved one or a friend – the best thing about it is that they won’t break the bank, and you’ll be supporting a small business in the process. First up are these Retro sweetie boxes from A Sweet Creation, A Manchester confectionery seller who also specialize in events. These boxes cost only £5 each, and can be ordered directly from their Facebook page by following the link here! Items come giftwrapped and with a blank gingerbread man tag to write out. They always respond super quickly to messages, so don’t hesitate to have a chat about placing an order. Secondly, is a piece of jewellery almost good enough to eat! If you have a female friend with a super sweet tooth and penchant for jewellery, then look no further than this ADORABLE miniature sweetie jar necklace, created by the very talented Caroline at Tiny Treat Boutique. Her pieces are exquisitely detailed and really reasonably priced. Go and have a browse of her Etsy shop for other pieces. You can get anything from hot dogs to cake! I chose this piece because I literally cannot resist a coconut wheel. The detail is incredible, and the quality is brilliant. I love wearing this piece, almost as much as I love Pick n Mix! Want more Christmas gift ideas for Booklovers? Or for that person who has geeky interests, ranging from insects to video games? Check out my Geek Pinterest board! 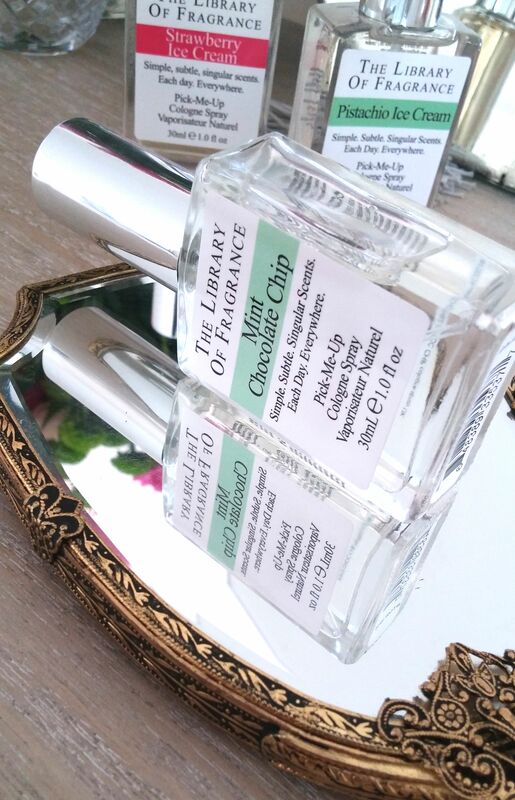 This Summer saw the launch of a new and exciting fragrance for Library of Fragrance UK in the form of Mint Chocolate Chip Ice-cream. This is my favourite ice-Cream flavour ever, so I was super dooper excited about the launch, and from my point of view it’s a very welcome addition to the family! 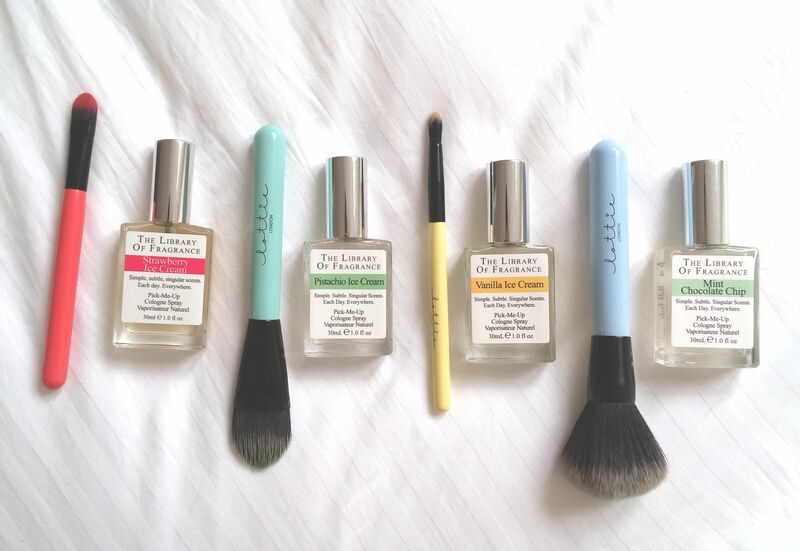 I’m excited to be able to review this lovely little collection for you on the blog today. WHAT IT REMINDS ME OF: a 99 cone (these should totally be renamed by the way, as they totally cost at least twice that.) I realise that the basis of a 99 is the vanilla soft serve ice cream, but i’m more thinking of that first lick, when you get that hit of strawberry sauce! Yummy! PAIRING SUGGESTION: Barbados Cherry or Dark Chocolate for a more opulent Ice-cream Sundae approach, or a layer of Black Pepper. WHAT IT REMINDS ME OF: Vanilla is vanilla. Not really a lot to be added! PAIRING SUGGESTION: Freshen with Zingy Ginger or Grass, or add a fruity punch with Peach or Pina Colada! WHAT IT REMINDS ME OF: I’ve never eaten Pistachio ice cream before, can you believe that? The Pistachio Ice Cream fragrance is slightly nutty, slightly sweet, cool and creamy. PAIRING SUGGESTION: layer with Salt Air for a fresh touch, or Sunshine for a sweet and summery touch. 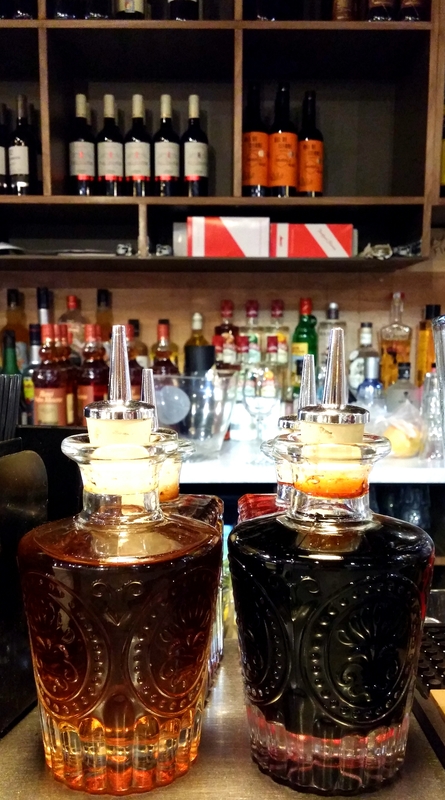 WHAT IT REMINDS ME OF: The creation of a ‘mint’ cologne has been one of the most frequent customer requests – wow! The scent is fresh, cool and uplifting, and delicious at the same time!! I absolutely love it! PAIRING SUGGESTION: Layer with Salt Air for a fresh touch, or chuck in pineapple for a fruity layer. Is there another flavour of ice-cream you’d rather see? 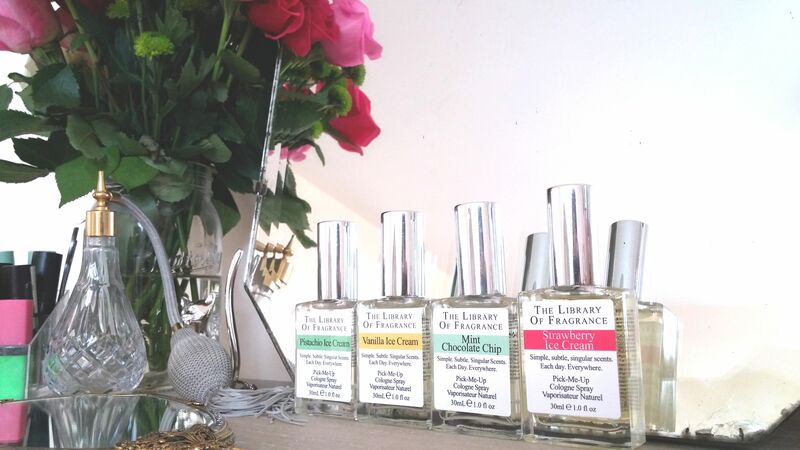 Or is have you any other fragrance ideas – Don’t forget you can view the #BottleThis Pinterest Board which I curate with Library of Fragrance here, and I can share all your ideas with their followers! 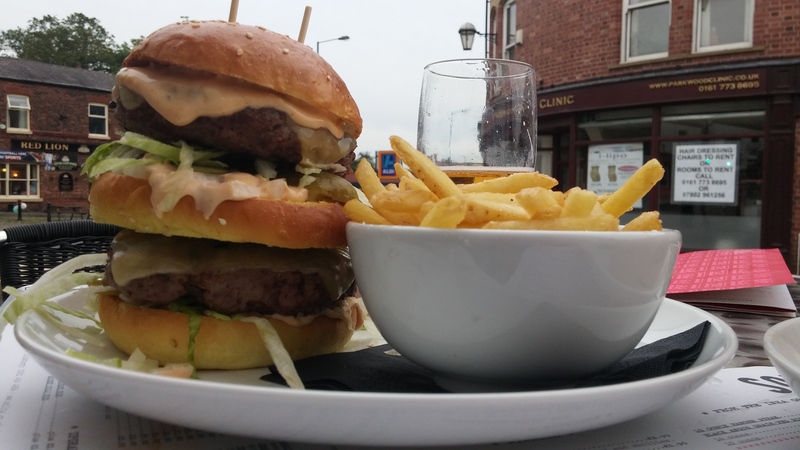 This weekend my husband and I visited our newly opened and local SoLita restaurant- Manchester’s finest burger restaurant in my opinion. 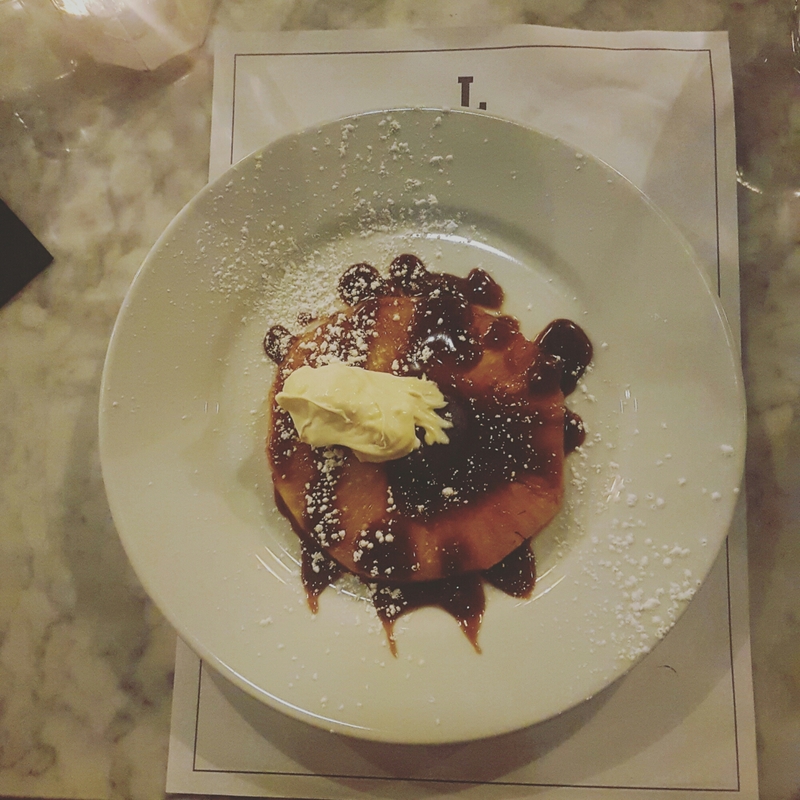 There appears to be a bit of an abundance of the super-junk-food joints springing up across the city, but to me, SoLita has managed to remain honest and unpretentious (Almost Famous goes just a bit too far for me to enjoy eating there). What we like about it, is if you don’t quite fancy a burger there’s still a great selection of delicious dishes in the form of Chicken, Steak, Fish or otherwise that you don’t miss out! For the first 2 weeks of service there is 50% off the food bill, so its a great time to try it out if you’ve never been, or even if you have! We ended up paying a mere £40 and I had two cocktails. The same price as TGI Friday’s and at least two times as good. The Prestwich restaurant is sleek and cool, while managing to blend into it’s surroundings – apart from the trademark neon logo in the window and the lego brickwork that is! 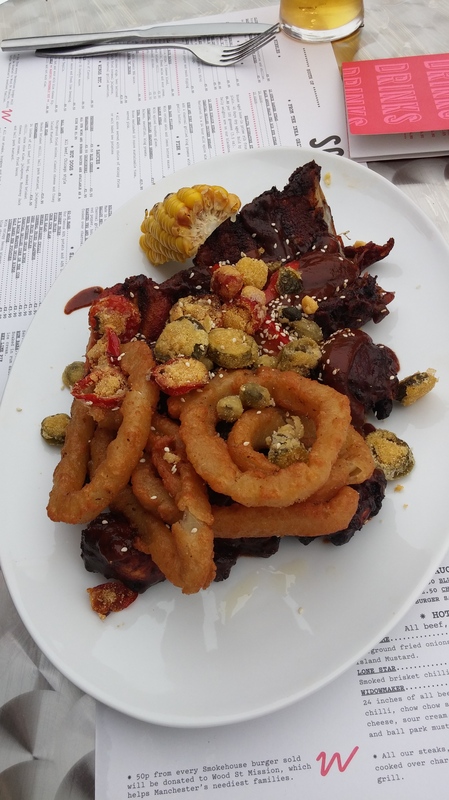 We ordered Ribs, Wings Rings and Things for starter to share (What it says on the tin – the things being corn on the cob), which was delicious, totally gluttonous and finger lickin’ good. 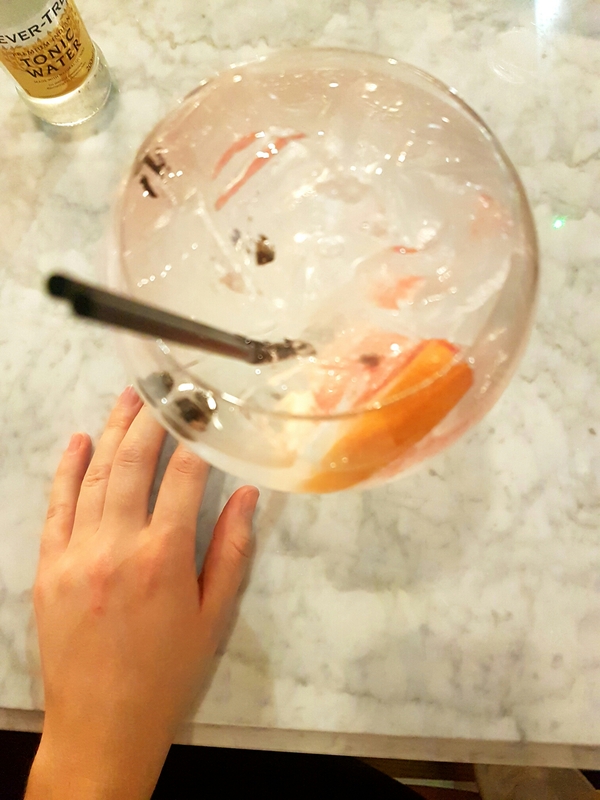 We each ordered a burger, my husband opting for their famous “Big Manc” burger, and me for the Jack Daddy, with Sweet potato crinkles – so delicious! 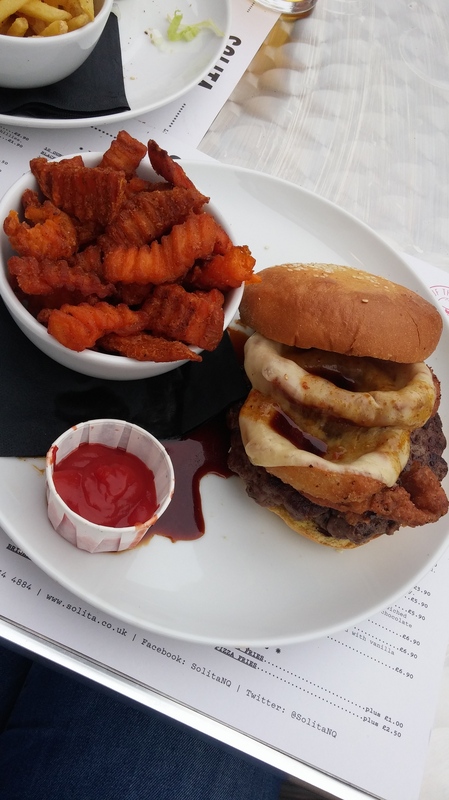 Jack Daddy – Beef patty, sticky Jack Daniels sauce with onion rings and monterey Jack cheese. And because evidently that food wasn’t enough (!!!!!) 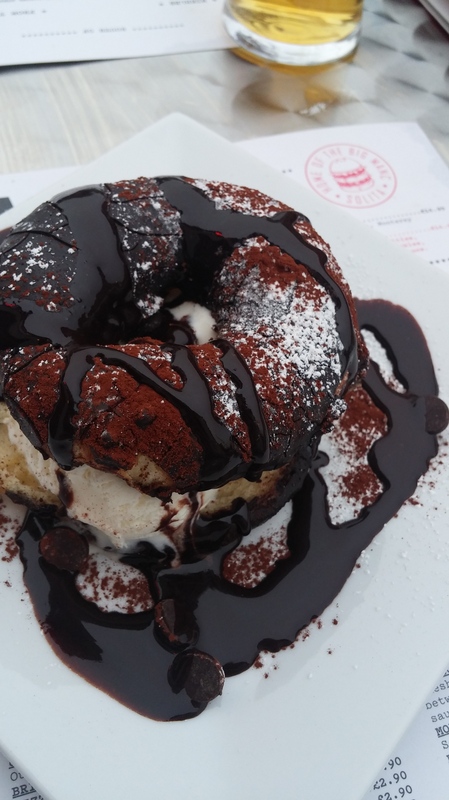 we shared the SoLita Vanilla Icecream Donut Sandwich! Warm chocolate sauce with dark chocolate chunks… delicious! These Prestwich digs make their restaurant number up to 3, with the Northern Quarter and Didsbury restaurants,too. All I can say is, long may it reign. The food is delicious, the service was great, and it helps that I live so close by so I can waddle home after eating so much food! Thank you, Solita! 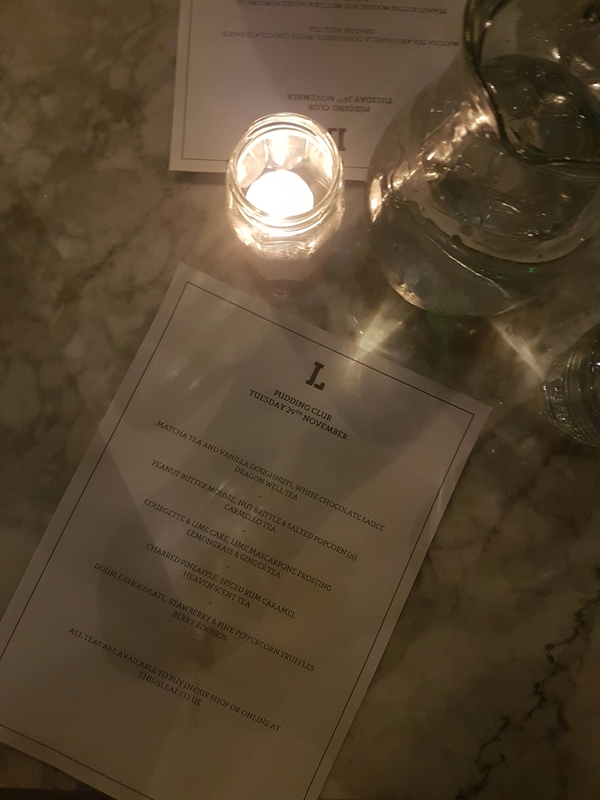 Take a look at their menu – what do you fancy? Hello! 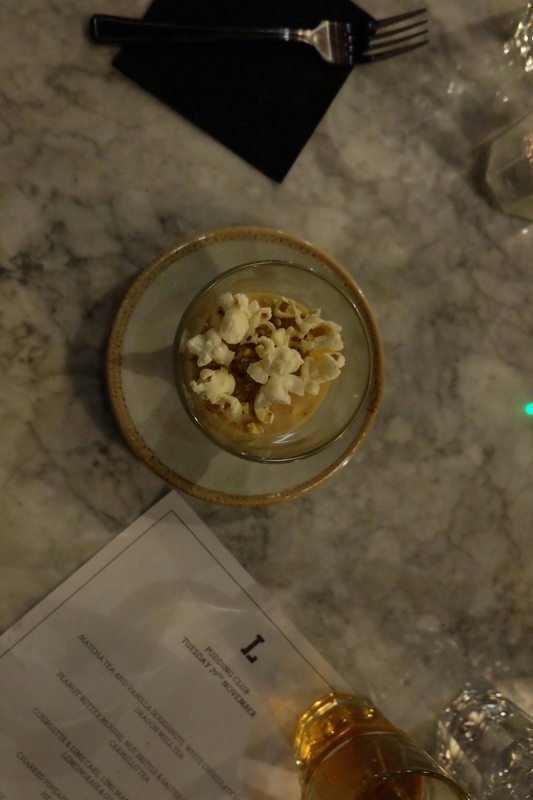 This one is a bit of a foodie post for you today! 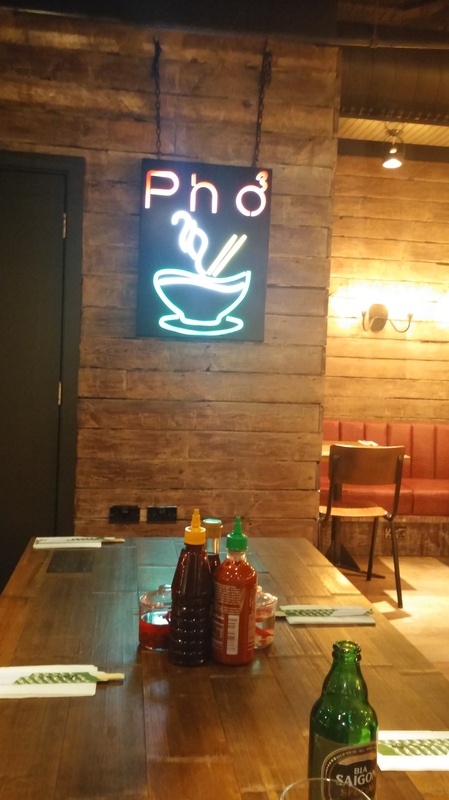 I recently attended a launch event for the Manchester branch of Pho (apparently the dish is pronounced “Fuh”),a Vietnamese street food restaurant which has restaurants in London and Leeds. 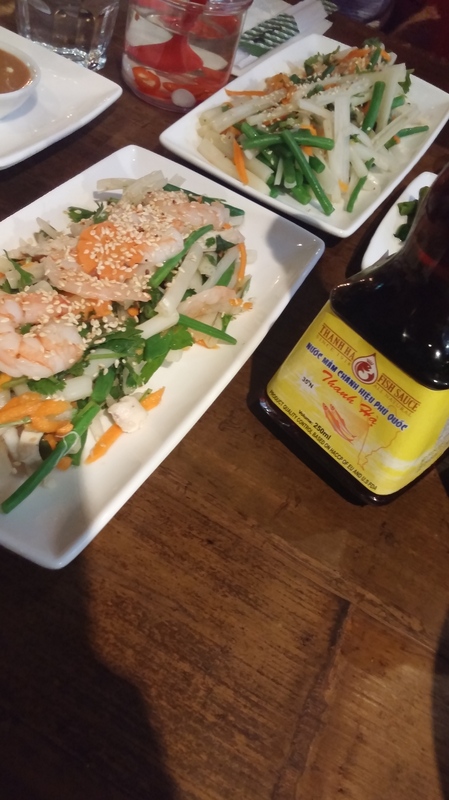 It was actually my first foray into Vietnamese food, so I was glad to have a seasoned foodie at my side in Roisin of Dromomania blog! 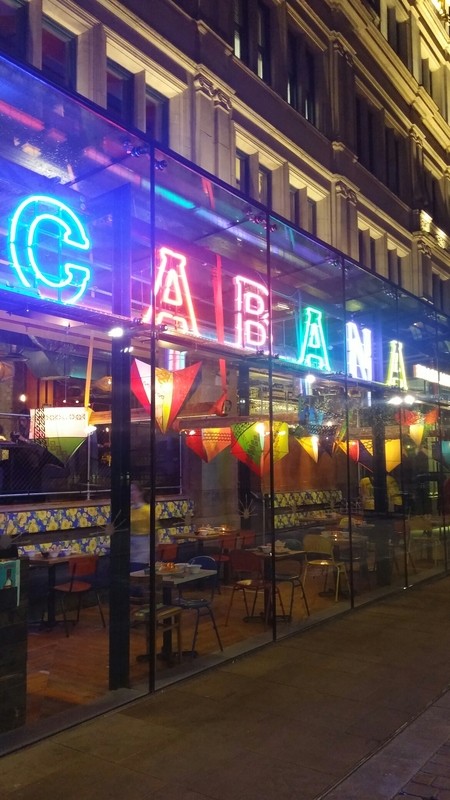 The Restaurant has opened within the iconic Manchester Corn Exchange which nestles between the Manchester Cathedral and listed Tudor pub Sinclairs Oyster Bar. 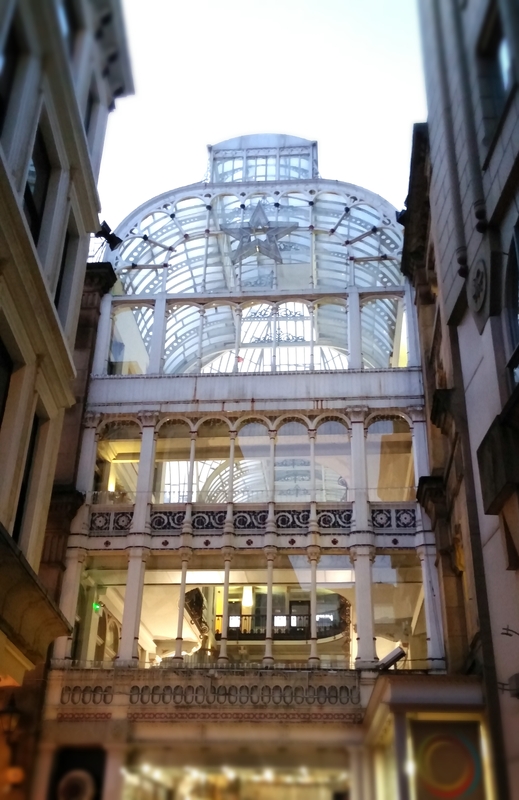 I’m so pleased that this incredible listed Edwardian building, previously used as a trading hub within the powerhouse of the North that it Manchester, is being revived and will be filled with people once more. There’s loads of placed opening where you can go for somewhere to eat, outside of the crazy hubub of the Northern Quarter. The decor was industrial, with touches of street-style. 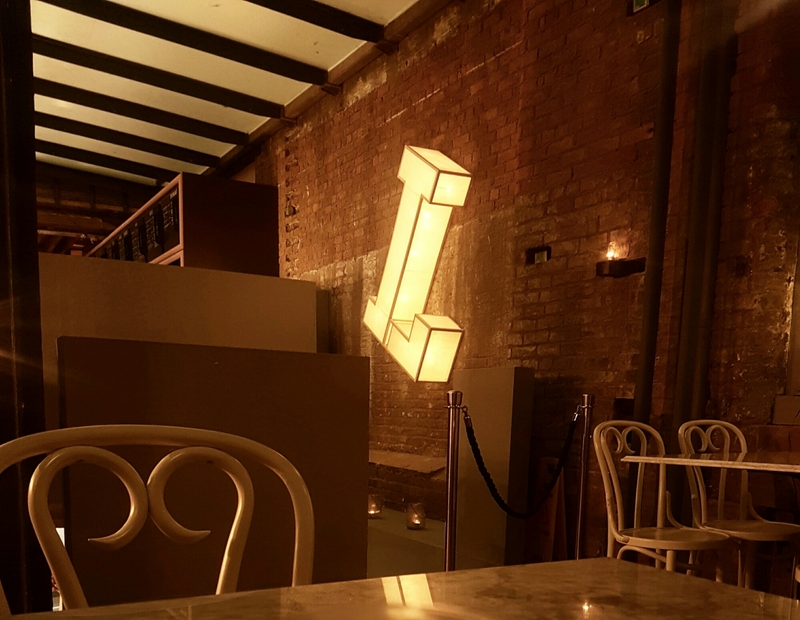 Filament bulbs, neon signs and simple wooden topped tables and benches,with the odd graffiti art on the walls and exposed pipework- an idea setting for a street food restaurant! We were seated on a long bench and the menu was explained to us by a lovely waitress. 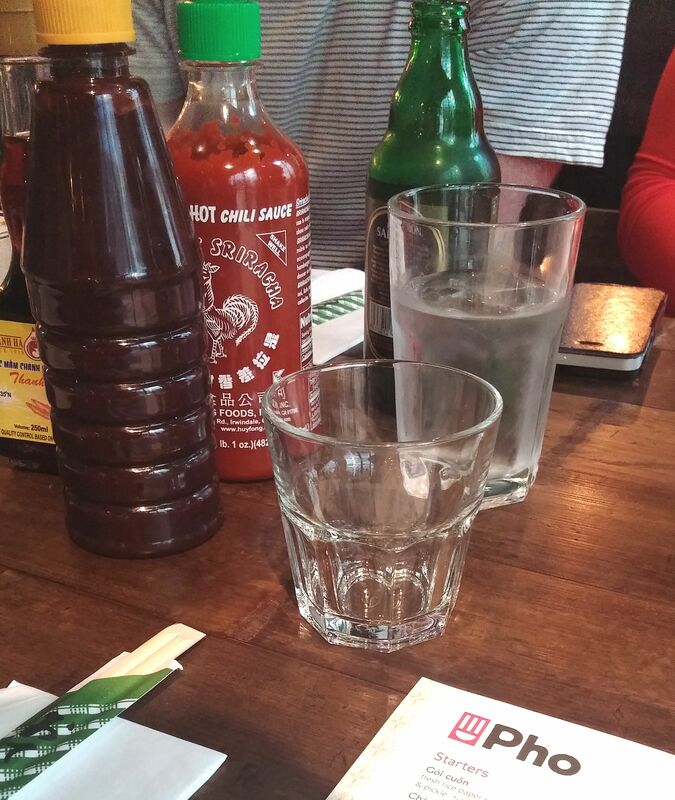 Every table is set with a variety of chillli sauces (proceed with caution), Hoisin Sauce and soy. 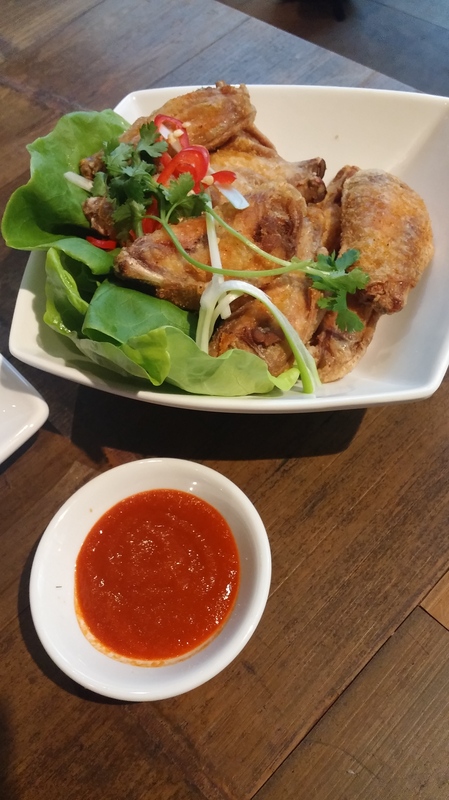 Cánh gà – Seasoned, crispy chicken wings served with srirachia &a portion of Prawn Crackers to share. Verdict : Delicious! I love crispy chicken, and this didn’t disappoint. 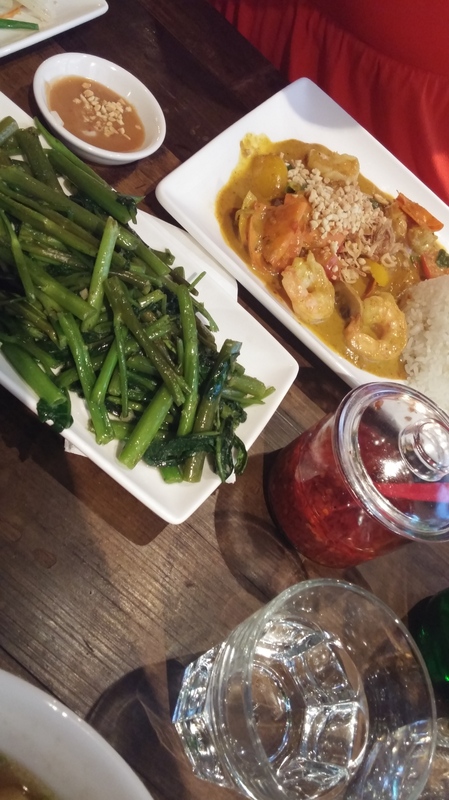 however it was served with the same sauce that is on the table – a little more inventiveness wouldn’t have gone amiss. 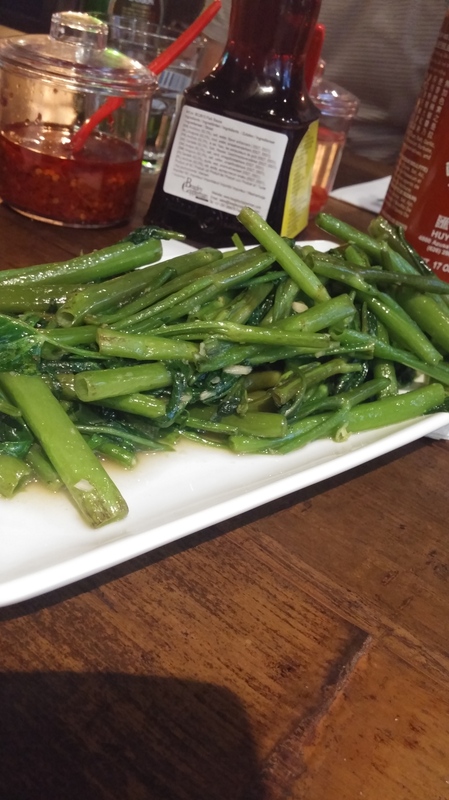 my husband’s dish – I can’t remember what he had!!! Verdict : This was served with a plate of herbs and spices and chilis that I could add at my leisure. I chucked in some mint and chilli, and some of the other herbs. This was a nice touch, as the broth of this dish can be a bit flat. 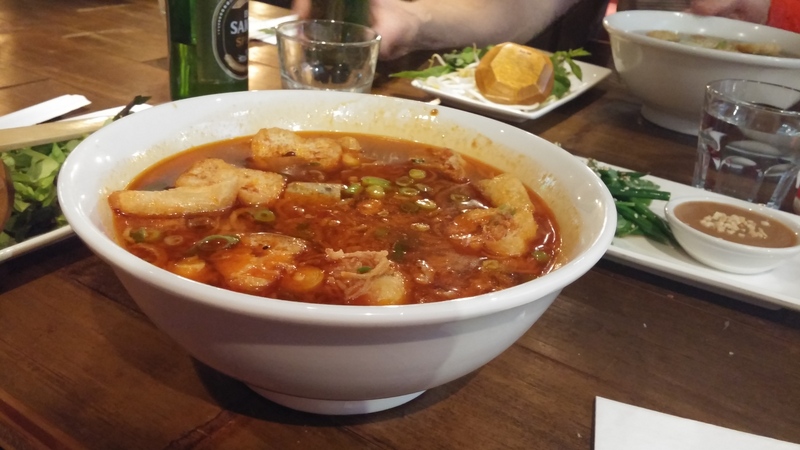 You slurp this with a large wooden laden and chopsticks. I didn’t find this difficult at all, and actually quite fun! There could have been more beef for my taste, and the sauce really lacked seasoning (even with my added herbs!) Fun to eat, though, and tasty nonetheless. 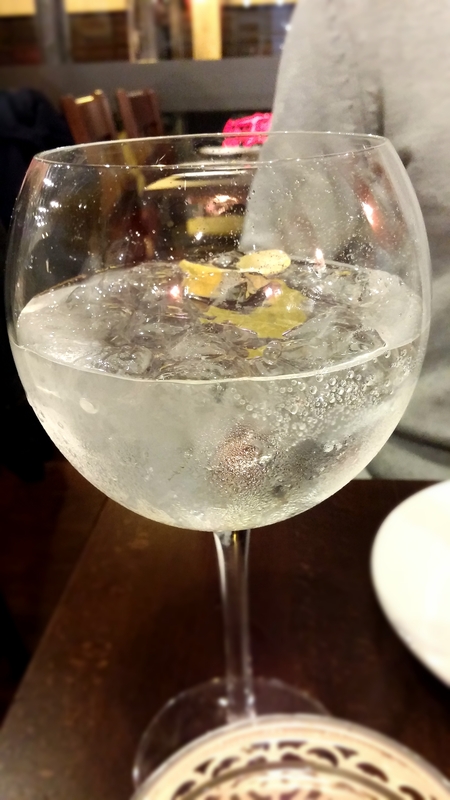 The morning glory went down really well, and was absolutely delicious! I love spinach anyway, and the dressing was divine. We ordered vietnamese coffee (Cà phê) out of curiosity, as it was served with delicious condensed milk! Actually quite a delicious Pick Me Up! 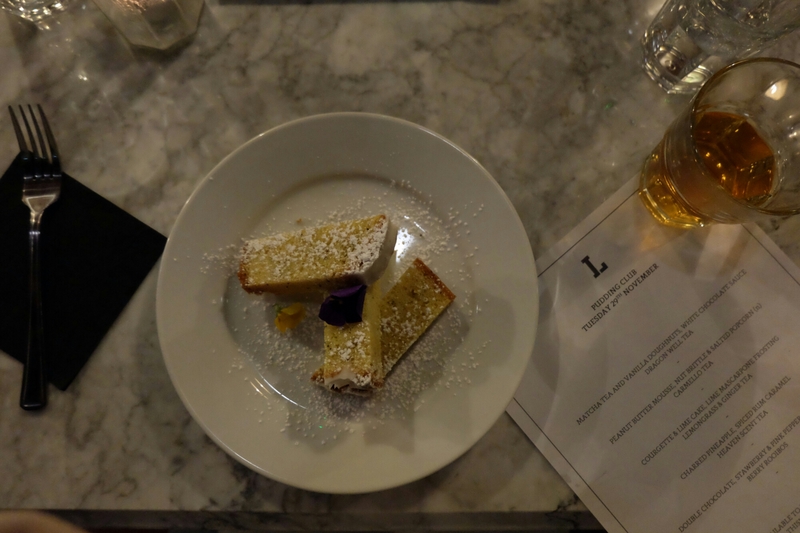 I also had a lemongrass and Ginger infused tea – a perfect digestif! Couldn’t really fault it. We were served in a timely manner, and when I asked for extra care to be taken with regards to my peanut allergy, the staff were accommodating and conscientious. I ate happy and safely! 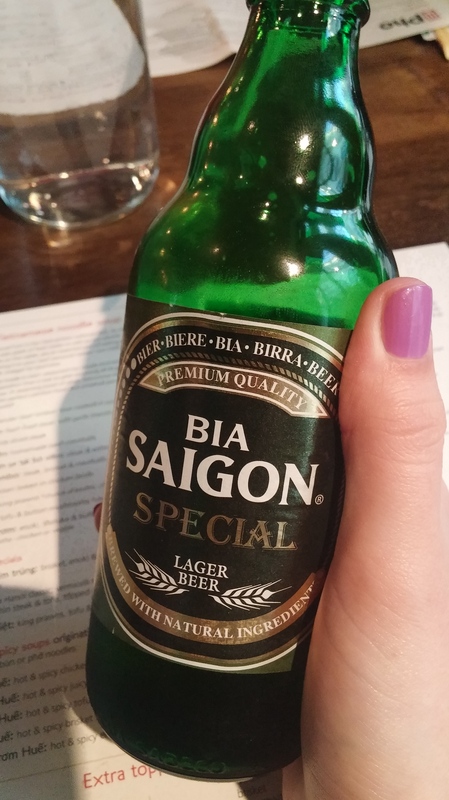 We were offered drink refills regularly (fantastic Vietnamese beer by the way!) and the staff were happy to talk through the menu and dishes when asked. 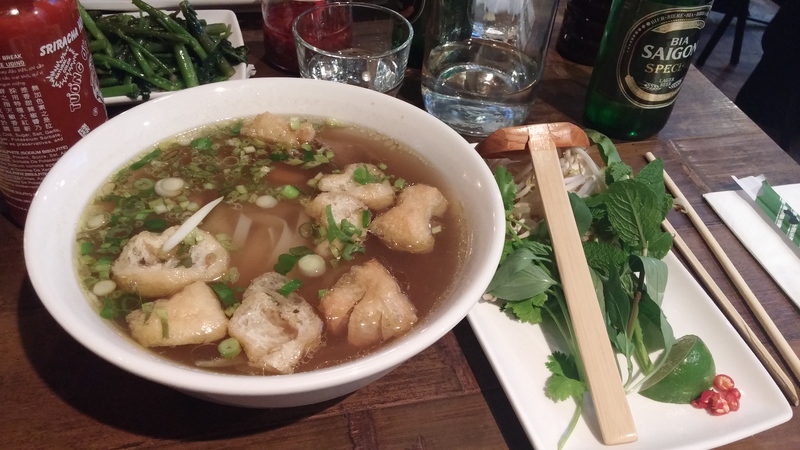 Overall, I had a great time at Pho, and would go again to try different dishes and stick with some favourites! Thank you for having me, Pho!